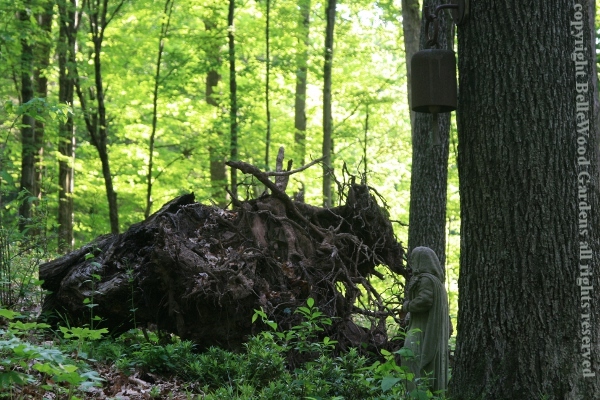 The woods are wonderfully green and leafy, not a neighbor to be seen. it would lift, straighten up. Nope. Slid down hill. Going nowhere. It will wait until he gets around to it. I have an idea for the roots . . . 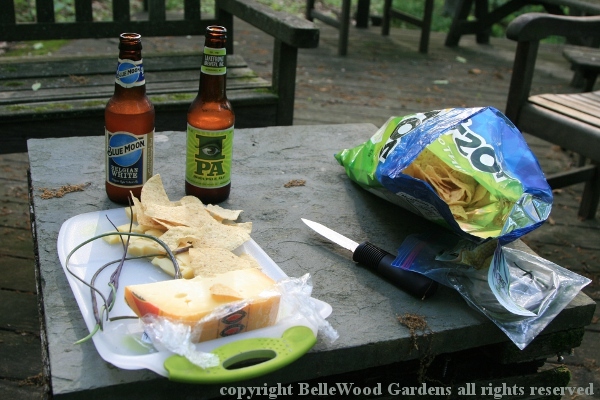 Some beer, tortilla chips, Jarlsburg cheese, and these skinny pods. 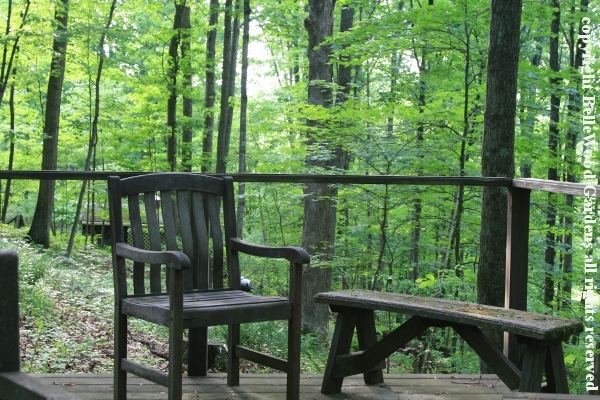 on the Forest Deck, whiling away some quiet time before dinner.